A master storyteller and one of the top media executives in the world, BEN SHERWOOD served as Co-Chairman of Disney Media Networks and President of Disney|ABC Television from 2014 to 2019. An award-winning journalist and bestselling novelist, Sherwood also served as President of ABC News from 2010 to 2014. Consistently ranked in The Hollywood Reporter's annual list of "Most Powerful People in Entertainment," Sherwood offers game-changing insights on bold leadership in times of disruption, the art of the turnaround, the secrets of unleashing creativity and innovation, and the inside story of the tumultuous worlds of entertainment and news. "Everyone loved him. They were captivated. His stories were fantastic. And the feedback I received was tremendous." "Ben's message is deep, highly relevant, and of great intrinsic value. He hit the ball deep into the seats." While at The Walt Disney Company, Sherwood oversaw a diverse portfolio of global entertainment and news properties, including Sherwood oversaw a diverse portfolio of global entertainment and news properties, including the ABC Television Network, ABC News, the ABC Owned Television Stations, the Disney Channels Worldwide, Freeform, and Disney’s ownership interest in Hulu and AETN. During Sherwood's tenure as president of ABC News, “Good Morning America” became the #1 morning TV news program in the US, and ABC News won virtually every prestigious honor in the industry, including George Polk, George Foster Peabody, News and Documentary Emmy®, and Edward R. Murrow awards. Sherwood is also an acclaimed author of fiction and non-fiction. 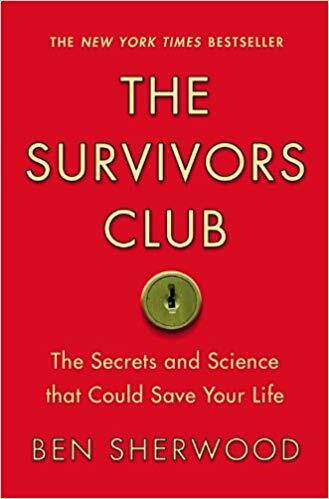 He wrote "The Survivors Club," a New York Times bestseller about the secrets and science of overcoming extraordinary adversity. He is also the author of "The Death and Life of Charlie St. Cloud," which was made into a major motion picture starring Zac Efron; "The Man Who Ate the 747"; and "Red Mercury." NYU's Stern School of Business... and more! One of the biggest names in media, BEN SHERWOOD provides audiences with timely, engaging, and radically candid insights on how to excel amid adversity and uncertainty.